When you’re on a motorcycle, there’s not a lot of room for error on the road. 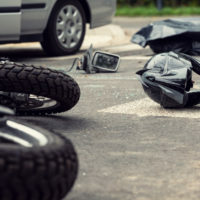 Without the protection that passenger cars and other vehicles have by nature of their design, motorcyclists are at risk of serious injury or death in any collision. And in Florida, the chances of a motorcycle fatality are greater than in any other state in the country. When an SUV attempted a left turn on Minton Road, it cut directly into the pathway of three motorcyclists who were going straight. The lead biker, just 24 years old, collided directly into the side of the SUV and was killed. The car behind a 57-year-old motorcyclist struck him on U.S.-27. The force of the impact threw him from his bike. He, too, was killed. Both the biker and a pedestrian were killed on U.S. 19 when the motorcyclist careened into a man who was crossing the road. S. 19 was the site of another vehicle-motorcycle crash, occurring when the passenger car attempted a left turn as the motorcycle approached. The motorcyclist died on the scene. Why is Florida so Dangerous for Motorcyclists? There are nearly 600,000 motorcycles on the road in Florida. The sheer number of bikes out on the roads means there is a greater likelihood for accidents than in other states. Additionally, Florida has terrific weather for bikers year-round. So the number of hours each rider spends on a motorcycle is likely higher in Florida than in states like Utah or Colorado, who suffer through freezing winters. While true, these facts do nothing to ease the pain of families who lose loved ones every day in the Sunshine State. Use extreme caution in intersections. If you or a loved one is the victim of a serious motorcycle crash, you need legal help immediately. Contact the aggressive and experienced legal team at the Law Offices of Robert W. Elton in Daytona & Ormond Beach today for a confidential consultation.